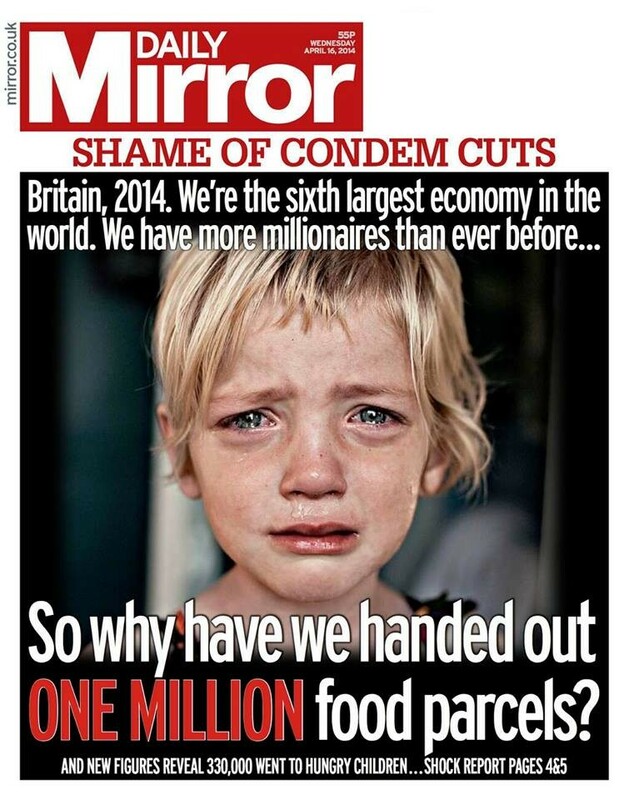 Britain’s biggest food bank provider has seen a surge in donations following a Mail on Sunday article criticised the charity for failing to run proper checks on people claiming food parcels, according to The Guardian. “Before the article there had only been about 250 public donations since the Trussell Trust launched its JustGiving page in late January. But as of late yesterday afternoon, the number of donations had jumped to over 2,000, worth more than £19,000. Several donors cited the Mail article as the reason for making a donation,” the story states. It continues: “‘The Mail story appalled me. 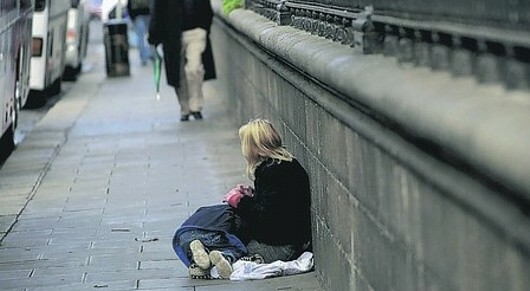 This is the least I can do to apologise for their crime,’ said Anonymous after donating £10. “As for the Mail article, the Trust said in a statement – given to the paper ahead of the article – that they disapproved of the methods the paper used to get its story. For the full story, see The Guardian’s website. ‘Scaremongering’, Iain? Isn’t that more your line of work? 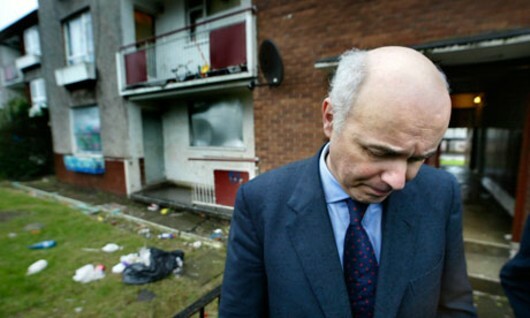 Iain Duncan Smith reckons there is no link between his regressive changes to benefits and the rise of food banks. Let’s check that. First, we’ll look at wages – because working people are going to food banks as well as the unemployed. 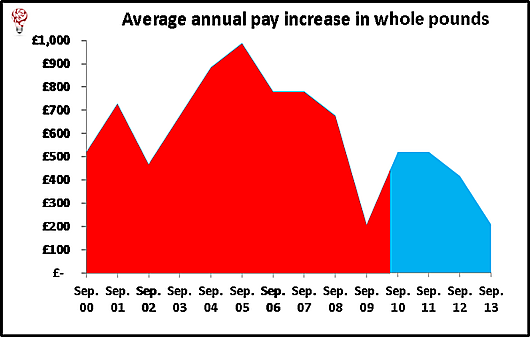 This graph clearly shows how wage increases have dropped (while inflation has continued to boost prices). As far as the effects of benefit up-rating measures are concerned, reductions in entitlement are unsurprisingly concentrated in the bottom half of the income distribution. 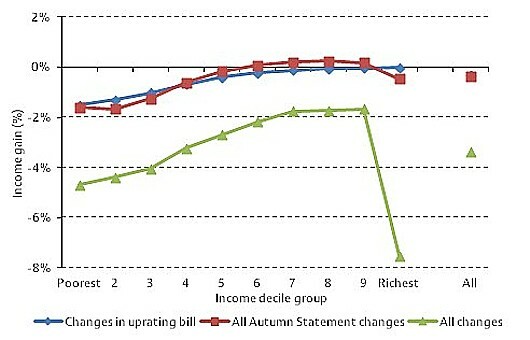 The lowest-income decile group see the largest fall in entitlements as a percentage of income (1.5%) as a result of measures in the Bill, and the second decile see the largest decrease in cash terms, losing about £150 per year on average. What does this mean for foodbanks? This graph, showing the exponential rise in their use, should be self-explanatory – to everyone not at the DWP, at least. Iain Duncan Smith needs to think before making unwise statements. He was in the headlines over the weekend after he accused food bank charity The Trussell Trust of “scaremongering” in order to get publicity for its work. Refusing to meet representatives of the trust – thereby reneging (in advance!) on a promise we all heard during the food bank debate in Parliament last week – he stated in a letter written during November that the increased poverty forcing people to seek food bank aid was not linked to his regressive changes in the social security system, and that the charity was using this claim to get publicity for itself. Quoted in The Observer, his letter began by criticising the “political messaging of your organisation”, which “despite claiming to be nonpartisan” had “repeatedly sought to link the growth in your network to welfare reform”. Has nobody noticed that this attitude is clearly contradictory? If The Trussell Trust was a corporation that was seeking to increase its share of a market, then he might have a point, but the entire thrust of this charity’s argument is that everyone involved wishes they were not having to do this work. Any publicity it seeks is intended to reduce the need for food banks, rendering Mr Duncan Smith’s claims about publicity-seeking null and void. One would have expected him to realise this when he found himself writing that the Trust had “repeatedly sought to link the growth in your network” – a growth that the Trust deplores – “to welfare reform”. Also, if he wants to refute any claim he must provide evidence to the contrary – a feat that the Secretary of State for Work and Pensions has yet to manage regarding any of his policies. But then, as Sir John Major has pointed out, he isn’t very bright. Oh no? Let’s resort to a little common sense then. What do you think happens when wages are pushed downwards for a period of more than three years, while benefits are slashed to the bone? Exactly. Perhaps, if the DWP wants evidence, it should do some empirical research. Do you want your children to starve? Well? Do you want your kids to starve? The Guardian has reported that budget cuts are forcing the closure of breakfast clubs in primary schools across the country – despite increased demand. The research, by Labour MP Sharon Hodgson, shows 40 per cent of councils are cutting back. This means vulnerable children will be going to school hungry and will therefore be unable to concentrate in lessons. Think about the consequences of this. If they can’t concentrate because of hunger, they’re likely to misbehave – and this could set a precedent for the rest of their lives. Malnourishment leads to misbehaviour, leading to what? Crime, perhaps? At the very least, the inability to concentrate means their grades will drop and their academic careers will fail – in some cases, before they have had a chance to get going. Who knows how many will develop health problems associated with malnutrition? This will happen, not because they are “bad kids” or because they are “academically sub-normal”, but because they come from poor families. The rich, meanwhile, will streak ahead in the race for The Good Life. The Guardian reports that Essex County Council said it had 219 breakfast clubs in schools last year, but 169 this year. In Surrey, 2,870 children were being given breakfast last year but only 1,200 in 2012. That’s creating 1,670 potential problem children. All this is happening in the country with the seventh largest economy in the world. A Department for Education spokesman acknowledged the importance of the service, but said it was up to schools how they spent the funds they were given. The “pupil premium”, aimed at the most disadvantaged children, would be doubled, the DFE said, but not until 2014-15 – in time to buy your votes at the 2015 election, perhaps? Until then, do you really want your kids to starve? The benefits system is failing thousands of people every week, forcing more and more of them to seek help from Britain’s growing number of food banks. “Breadline Britain”, under the Tory-led Coalition, is now a literal expression. Previously it was just metaphorical. The Trussell Trust, which runs the UK’s biggest food bank, in Coventry, is opening new food banks at the rate of three per week. 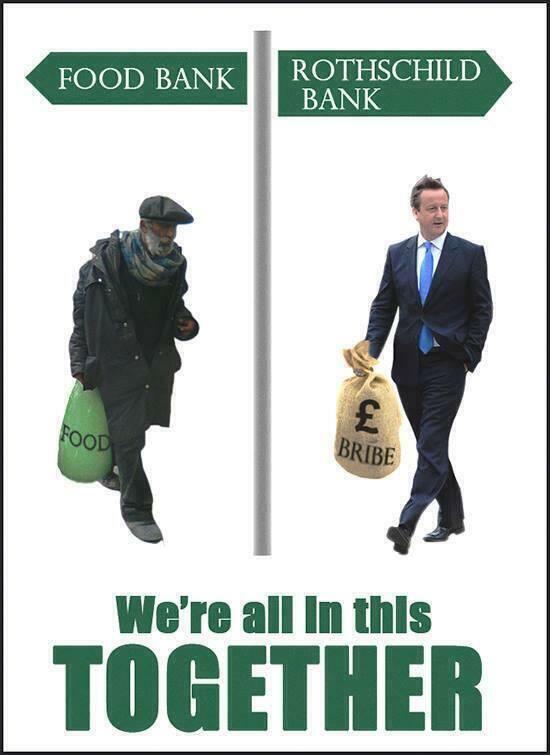 Almost half the people who go to food banks are there because of benefit changes. the Department for Work and Pensions does not work fast enough to arrange benefits for when claimants need them, leaving poor people in crisis for weeks, or months, at a time. Then the debts start racking up. 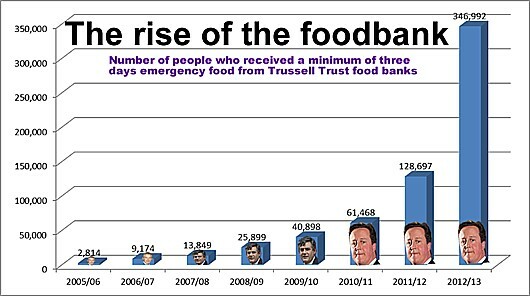 Sanctions, imposed as temporary punishments by the new benefits regime, are also adding to the queue at the food banks. Since 2010, the number of people getting their Jobseeker’s Allowance suspended has spiked, and we all know that the disability tests introduced for Employment and Support Allowance (and soon to come in for Disability Living Allowance) are causing hardship and – in fact – death for Britain’s most vulnerable people. Sanction or disallowance of benefits happened to 167,000 people in the three months up to February 2012. What do people do for money when the State fails them and they can’t get work? They fall into the debt trap. High-interest, doorstep lending to poor people is Britain’s latest – perhaps only – boom industry. In other words, the government’s sick benefits regime is forcing the poor into debt to organisations that will take away everything they have left, in order to make up payments on a loan whose interest rate they probably made up on the spot. And when they’ve taken everything, what do you do then? Do you really want your kids to starve?